Save material loading time to increase productivity. Suit to all kinds of straighteners. Can add motors and control system to become power cradle. Manual expansion is standard.Hydraulic expansion is option. 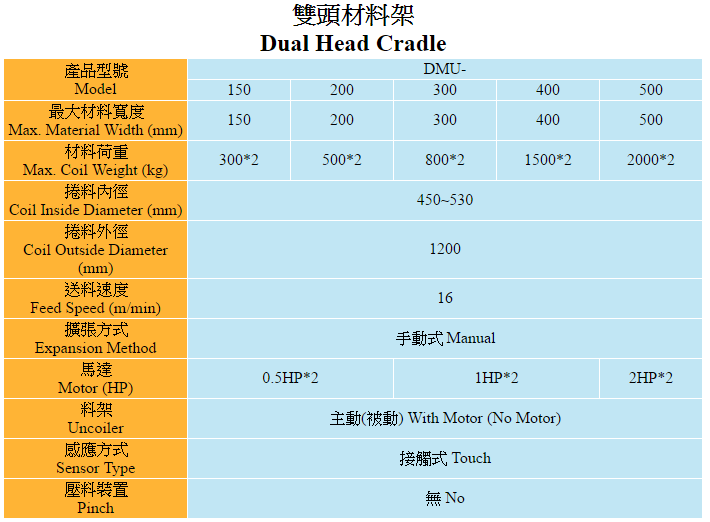 For narrow material,cradle can ODM to move right and left. Suit to high speed product like EI,motor sheets.